Welcome!﻿ Thank you so much for visiting my website. I really appreciate your interests and supports. I have taken a long rest for almost two years! I only had two small performances last year in my hometown, Yokohama. while I wish a peaceful world... Yes, we need more music for peaceful mind. 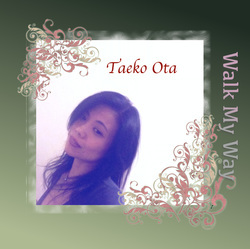 Finally, my first album, Walk My Way, was released in January, 2016! Please go to My Songs page or the following page to listen to the samples. I am so lucky to play with such a great trio. In fact, their sound is truly amazing. Masami arranged a couple of my songs. Paul is usually playing with Lady Gaga. His drum and percussion brought such liveliness. Seth's deep and grounded bass sound tied it all together. Most of them, nine songs are my originals, including two Japanese songs. I will sing and share these music in many venues and hope to have wonderful moments with many people.